This cap features a bold St. Louis design on the crown and cuff of the hat. This tobogann features a jacquard Blues graphic knitted into the crown just above a team secondary color cuff that makes this cap pop with team spirit. 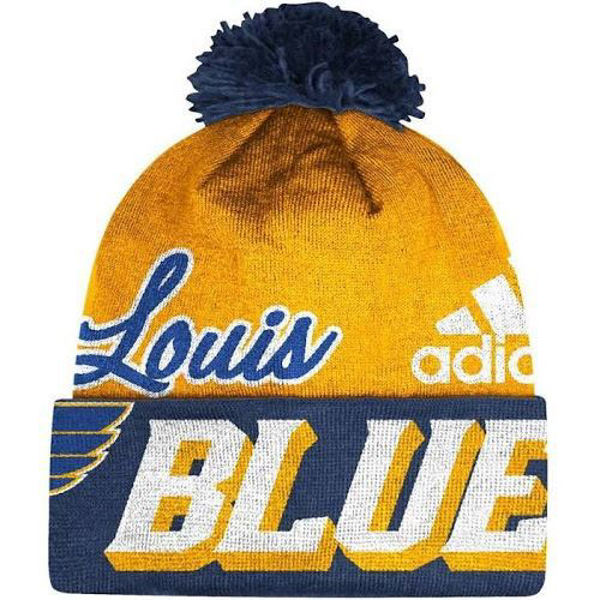 This Blues cap is made of 100% acrylic yarn to keep you warm and toasty while you watch all of the STL Blues games! Go Blues! !